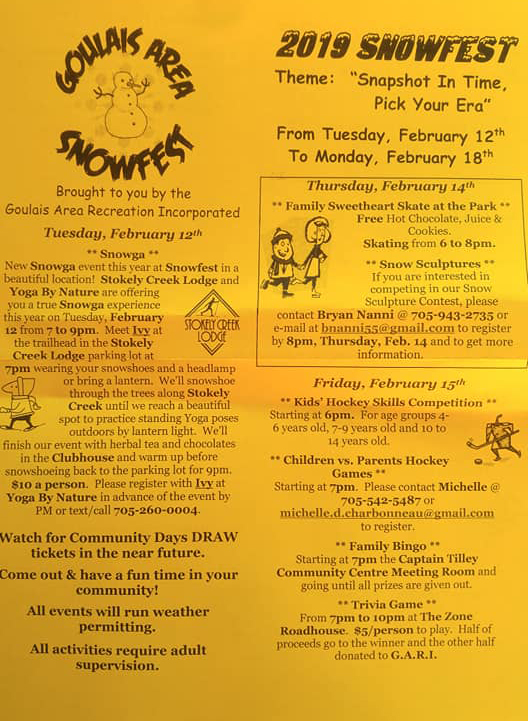 Goulais River, Ontario – Snowfest will be taking place February 14th to 18th. This years Snowfest happening over the Family Day weekend should be a good one. 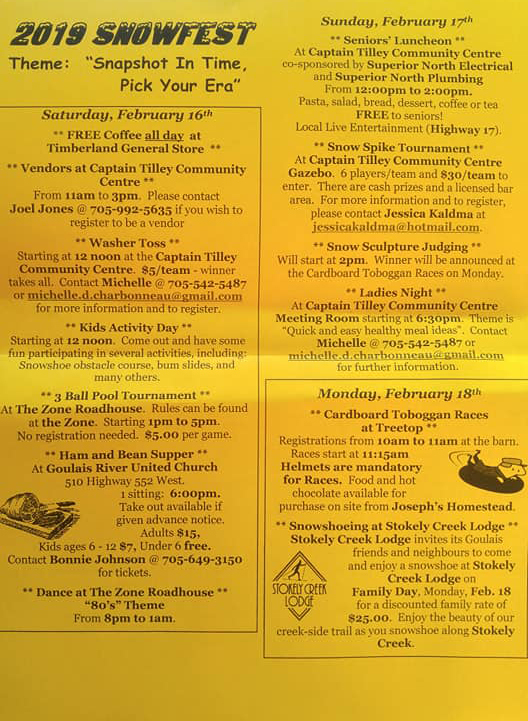 There will be a snow sculpture competition, Volleyball tournament (e-mail jessicakaldma@hotmail.com for more info), Cardboard Toboggan Races plus much more. A schedule can be seen below.